January 19, 2018 – Vancouver: The finalists of the 15th Annual Small Business BC Awards have been officially announced. Out of the nearly 600 small businesses from across B.C. 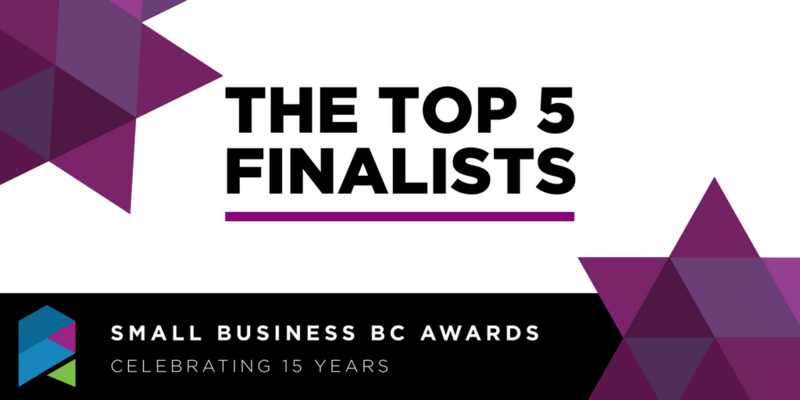 who were nominated for the awards, there are now only five businesses in each award category moving forward in the judging process, and one step closer to being named a top B.C. small business. This year’s Small Business BC Awards Gala will be held in conjunction with the Open for Business Awards, which not only celebrate B.C.’s local small businesses, but also the communities that they reside in. The Gala is promising to be the business networking event of the year and will take place at the Vancouver Convention Centre on the evening of February 23, 2018. For more information and ticket sales, visit https://sbbcawards.ca/buy-tickets/. The 15th Annual Small Business BC Awards finalists for all ten categories are as follows, in alphabetical order.